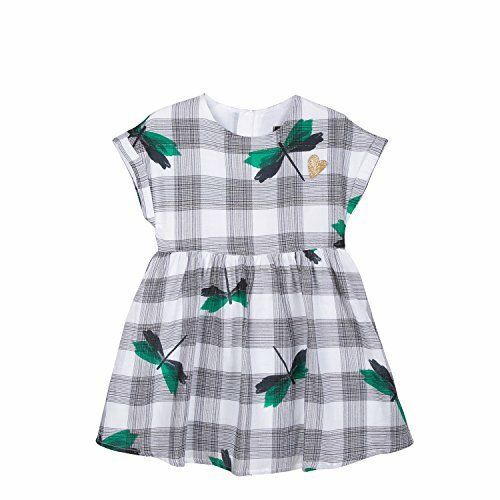 Crepe dress with gingham pattern enlivened by a metallic thread and superimposed dragonflies, for a rustic chic look for girls. Rounded neckline with invisible zip fastening at back on placket. Petal sleeves with turn-up hem. Sequin Catimini heart on chest. Cut out and flounces on waist. Cotton lining.